About — Barclay Metal, Inc.
After a brief stint working in the steel industry in Detroit, Bob Barclay Sr. returned to his home in Mayfield, Kentucky, and established a junkyard business behind his house. 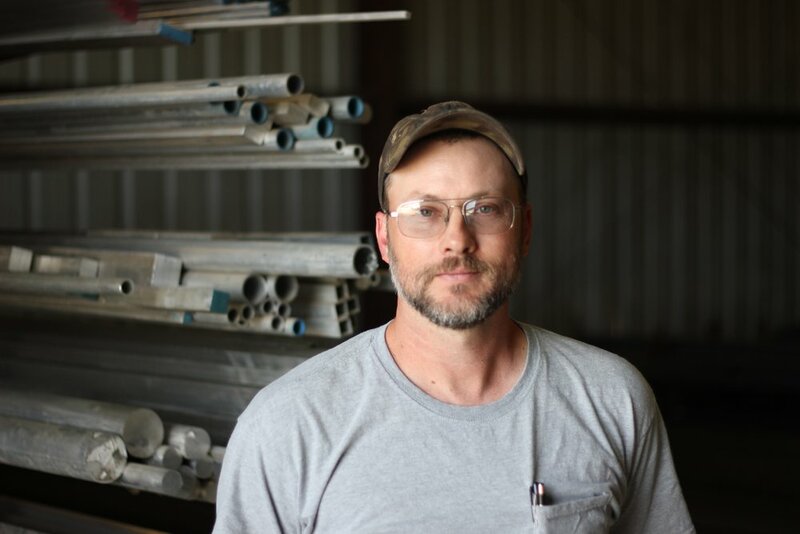 He soon saw greater opportunities in transitioning from the junkyard business into a small steel service center. The business grew and eventually moved from his home to its present location on Sutton Lane. Bob headed the business from the mid-1950’s to the mid-1990’s, when his sons Robert, Jr., and Joey took the helm. For over twenty years, Robert and Joey guided and grew Barclay Metal into its present success. Tragically, both brothers passed away within a year of each other, and Robert’s wife Anna, with assistance from her sons Trey and Jon, assumed control of the steel service center. Anna is ready to take on the challenges of leading the company into the future. Barclay Metal’s six decades of success would have been impossible without the dedication and hard work of employees, whose expertise has been essential to the company. Wes has been around BMC for 10 years now and loves the family atmosphere around the office. Outside of work, Wes enjoys drag racing and hunting, being one of the more accomplished drag racers in Western Kentucky. Anthony’s 16 years of experience at BMC allow him to help a wide variety of clients. During his downtown, Anthony loves spending time with family, playing softball, and gardening. With 23 years of experience at BMC, under his belt, Clint is our team leader in the office. Clint loves working with the many regular customers that visit our office, having weekends off, along with hunting and fishing during his down time. Anna graduated from Murray State University with an Accounting degree, but soon after chose to enter the education field, teaching middle school for 20 years. Anna has been involved with BMC since she and Robert were married, keeping the books, and doing odd and end jobs throughout her time. It wasn’t until January 1st, of 2017, that Anna stepped up to take on a larger role with BMC after her husband and co-owner, Robert Barclay, passed away. Anna is now responsible for the strategic planning for BMC, overseeing the purchasing, working with her team at the warehouse, and continuing to keep BMC on the right path.